Fuminori Nakamura was born in Nagoya in 1977 but has made Tokyo his home and muse in the decades since. He won the Shincho Prize in 2002 for his debut novel The Gun and went on to win the Akutagawa Prize in 2005 and the Oe Kenzaburo Prize in 2010, two of Japan’s most prestigious literary awards. 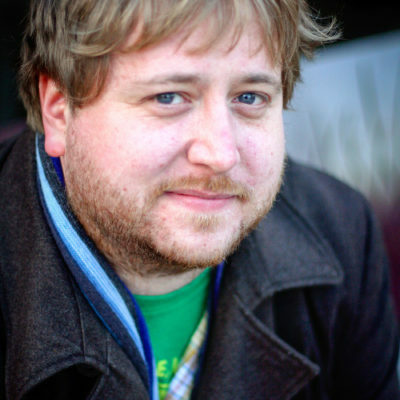 His work defies easy genre classification, drawing heavily on noir and elements of crime and mystery fiction, but at the heart of all his books are people in the grip of an existential crisis. Like Kenzaburo Oe, Nakamura can be seen as a spiritual accomplice to the French Existentialist writers like Jean-Paul Sartre, Albert Camus and Jean Genet. It’s this depth to his work that is bridging borders and finding him a strong international readership. 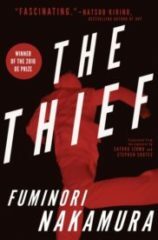 Translation team Satoko Izumo and Stephen Coates were the first to bring Nakamura into English with The Thief in 2012. More accurately a pickpocket, Nishimura is a face in the shadows under the Tokyo railway lines, a man surviving literally hand-to-mouth. He is alone, isolated even among the crowds he targets. Unlike Jean Genet’s earlier thief, there’s nothing mythical or “holy” about Nishimura’s crimes and he makes no attempt to justify himself in grand, theoretical ways. In his solitude, he is existentially free, but his freedom is curtailed by a past that inevitably catches up with him. The following year brought Evil and the Mask. Fumihiro is raised by his father to “be a cancer on the world.” An evil, nihilistic being following his urges and utilizing the family’s great wealth to bring chaos and destruction to mankind. As family traditions go, it’s a cracker. Needless to say, Fumihiro questions the future planned out for him in this dark exploration of nature versus nurture and the limits of individual freedom and morality. A film version was released in January this year. The translation baton passed to Allison Markin Powell for 2014’s Last Winter, We Parted — a gripping, unsettling story about obsession, identity and art. Working on a similar premise to Capote’s In Cold Blood, the protagonist interviews Kiharazaka — a famous photographer accused of two murders — and in doing so finds his world and beliefs turned upside down. The book is a gripping triumph of experimentation with language and structure. It, too, has found an afterlife in film, hitting screens in March 2018. 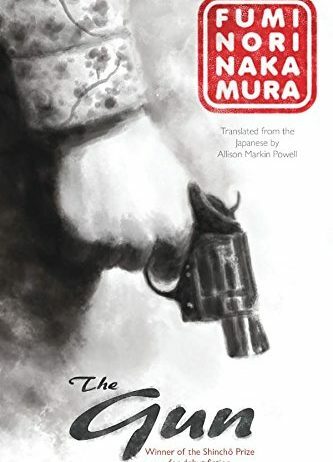 In 2016, Powell’s translation of Nakamura’s debut novel The Gun was published. Our outcast this time is young Nishikawa. When he stumbles across a dead body and a gun with four bullets still in it, his decision to pocket the gun sends him down a path loaded with Chekovian logic. The Gun will also be adapted for the cinema in 2018. Along with publication of The Gun in 2016 came The Kingdom. 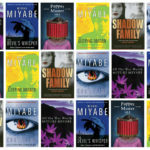 Shifting to a female perspective, Nakamura returns to the murky Tokyo underworld in what he describes as a “sister novel” to The Thief. Here, Yurika earns a living facilitating the blackmail of rich and famous men while enduring the enforced isolation that comes with her lifestyle and her desire to keep her identity to herself. As is so often the case, her past comes back to haunt her. 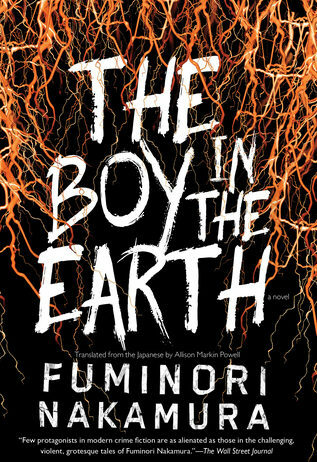 Published in 2017, The Boy in the Earth is another masterpiece of existentialist emptiness. The nameless protagonist is the survivor of horrific abuse as a child and the experience has left him reckless to the point of suicide. The book opens with him pointlessly flicking his cigarette at a bosozoku biker gang who unsurprisingly give him a thorough kicking. He finds something approaching solace in his relationship with the alcoholic Sayuko but, as we all know by now with Nakamura, the chances of a happy ending are slim. 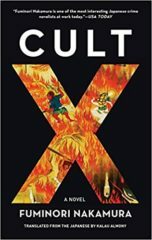 May this year will see Kalau Almony’s translation of Cult X come out. This is the one many of us have been waiting for. 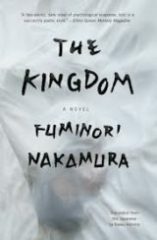 Described as his magnum opus, it sees Nakamura inevitably delve into the world of Japanese cults. Like Kenzaburo Oe before him, Nakamura clearly sees the obsessive nature of the members and the contradictory status of being outside mainstream society yet inside a rigid system fascinating from an existential perspective. In an era where radicalization and fundamentalism are on the rise, this couldn’t land at a more timely moment. Nakamura’s combination of creeping noir, intelligent crime and deep existentialist exploration of the meanings of freedom, morality and society marks him out as one of the most important writers at work in Japan today. 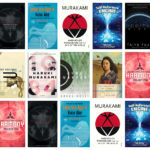 Whether you want your thoughts provoked or your spine tingled, Nakamura is the writer for you. 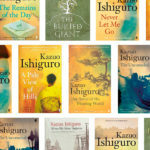 An overview of Nobel laureate Kazuo Ishiguro’s novels.